Take a journey back in time to remember Michael Jackson – the man, the music and the magic. 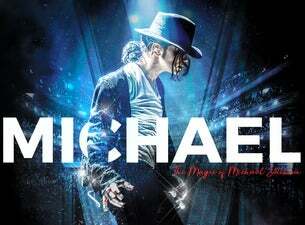 Michael Starring Ben is a hit theatre production starring the UK's ultimate Michael Jackson tribute star, Ben Bowman. Not only does he look and sound like the Prince of Pop, but he's honed his routine so carefully that audiences truly believe they are watching Michael Jackson himself. The show features a live band, dazzling costumes and the performer's iconic dance routines. It also showcases the greatest hits of Michael Jackson and also of The Jackson 5 including Beat It, Billie Jean, Thriller and Man in the Mirror.